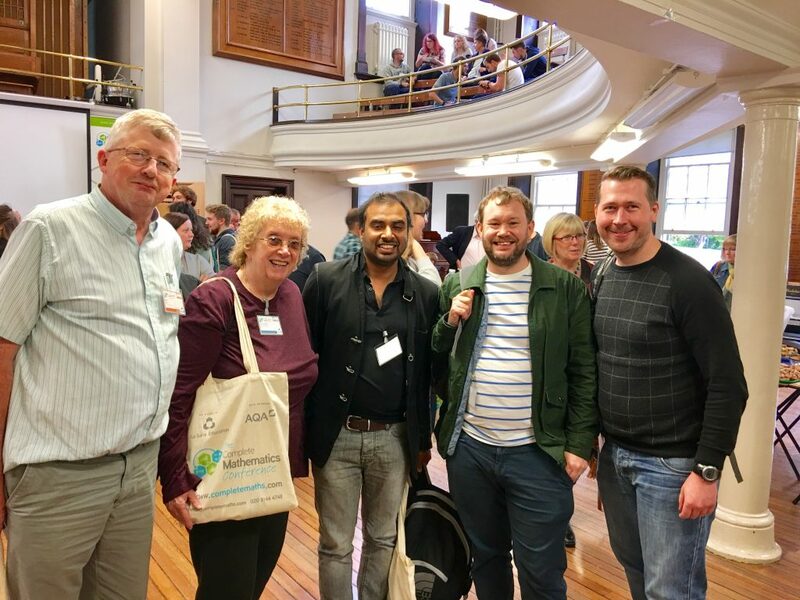 Sheffield, maths teachers at the pub, stand-up maths, a calculator cake, lots of new connections and of course the invaluable CPD of the conference, #mathsconf13 did not disappoint. I stumbled into La Salle by first going to the London #mathsconf10 earlier in the summer this year. I was mindblown by that first conference and ended up attending their MTN event in London and went to a workshop last week. The network of teachers, resource creators, examiners, speakers etc. they have got together is very impressive. And the value of such events is not just what you hear at the workshops but from meeting those in the front line of education. Unlike the London conference which was on my doorstep in East London this one needed more planning. I booked my train and hotel for the Friday night and I moved my Saturday students to Sunday instead. I even tutored my Friday evening students from the hotel room in Sheffield. I like to keep things rolling along as regularly as I can for students and lost hours are lost income for the self employed. #mathsconf13 in Sheffield. Intro talk on two floors. Pub time with teachers and two birthdays to celebrate! Sometimes things just align in unexpected ways. The Friday night before the conference was my birthday. 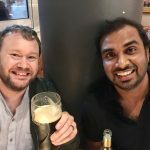 And the day before was the birthday of my good friend Richard Glasgodine (@RGMathsTutor) a fellow maths tutor and all round enthusiast of all things tech and Engineering. We had talked on video several times and known each other on social media so it was so cool to meet him in person. By coincidence it was his birthday the day before so we had lots to celebrate. The theme of meeting real people from social media continued all through the night. Gone are the days of exchanging business cards, all the maths teachers there were on twitter. Seriously if you are not on twitter you must get on to it, it’s where pretty much where the maths teaching CPD action is. 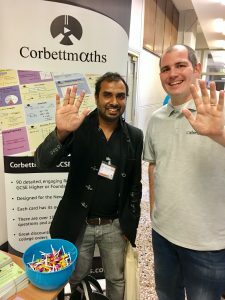 I was glad to meet Jonathan Hall (@studymaths) who runs the mathsbot site. I have used his site extensively over the last months after I learnt how to use Algebra tiles at a short workshop that Mark McCourt (@emaths) ran in July this year. I was also nicknamed “Algebra Tiles Man”! I am nowhere near having that title as I have only just started using these and mostly with positive numbers. Throughout the night I met more and more teachers, we chatted all sorts of things from my experience of online tutoring, to theirs of class teaching and exchanged teaching ideas. I got to know a lot of teachers before the Saturday in a relaxed setting and this really set the scene up for the all important conference the following day. 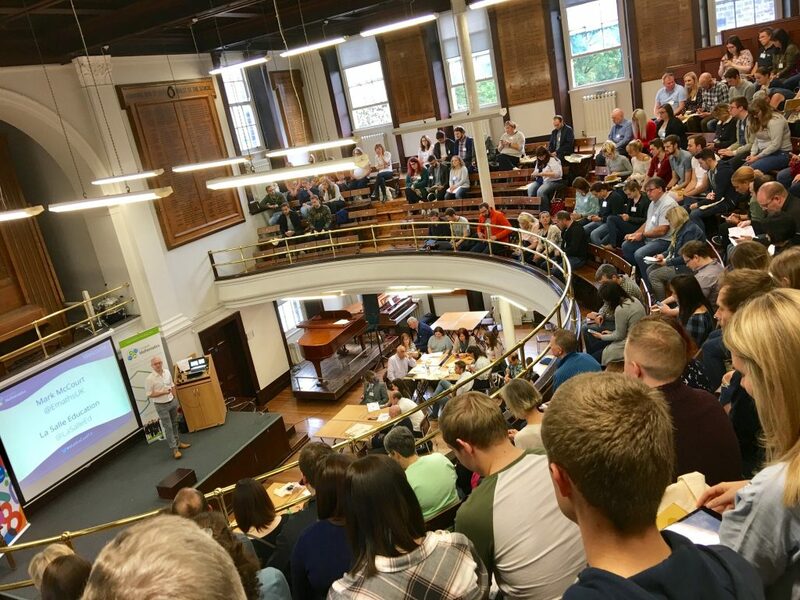 A packed school main hall with two floors of 400 maths teachers from all over the UK. Mark McCourt (@emaths) who runs La Salle introduced us all to the conference and set the scene. This was followed shortly by Andrew Taylor from AQA maths who gave us some insights on post 16 maths options. And then we had the keynote by Matt Parker (@standupmaths) who I had never heard of before but is clearly a really funny and smart maths speaker. The speed dating was a quick 2 minute chat to exchange teaching ideas with teachers. I used folding paper with fractions and learnt some things about a functional skills volume exercise. Maths Tutors UK group tutors unite and meet in person for the first time. This workshop was given by Luke Graham (@bettermaths) who I have seen host maths chats on twitter. As I tutor the Sciences (up to GCSE and Physics A Level) I was curios to know what was going to come up on this. Luke had sat in many Science lessons at A level and GCSE to understand the maths content in there. We looked at some questions on estimating populations using quadrat sampling. An example being used was of white painted snails. Then to think beyond the simple assumptions to refine the model and getting students to ask “What if?” questions like what if the white painted snails are more likely to be eaten by predators. Punnet square genetic diagrams were shown to be essentially like quadratics. I’ve always likened them to grid multiplication so it was great to hear this. And there was some great A level Chemistry content to do with Maxwell-Boltzmann distribution curves. These are essentially normal distribution curves in action. The cut off in the curves can be used to explain things like rates of reaction. This is a really great application of normal curves so this gives me a new idea to use in my teaching. All in all an inspiring talk for me, there was some elegant A Level Science/maths crossover that I had not thought about for a while. 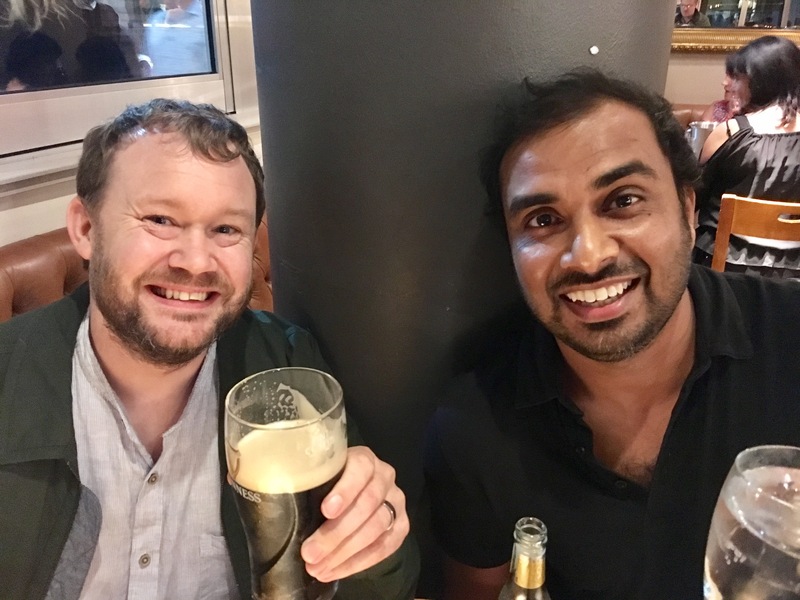 I had met the speaker of this talk Gordon Brough (@gordon_brough) at a Bar Modelling workshop and had also been following him on twitter before. I first heard about the formalised idea of relational and instructional understanding through previous La Salle events. It was reassuring to confirm what has come naturally in tutoring. A lot of the time you just need to get students fluent in using certain techniques (a rote type of learning) and then later explain why it works. Or with some students you can start with the “why?” straightaway. The approach I take is customised to individual tutees and varies on a case by case basis. Lots of food for thought after that talk and something I will think about in the coming few days. This talk was by Jonathan Hall aka @mathsbot He had already asked me what 8.5^2 was in the pub the night before so I was curios to know what shortcut he had. Turned out that (x+0.5)^2 can be used to make a simple rule to find this. This certainly looked like an impressive trick and had me hooked. I really liked his philosophy that it is important to spend a couple of minutes to do something interesting that will engage students before diving into content. There were plenty of other number tricks in there including prime diagonals and happy numbers. A visually impressive piece was the demo of a Serpinksi triangle animation followed by a “Chaos game” which would recreate the triangle with a multitude of dots. Besides all the number stuff, he also went through his mathsbot site in some detail including all the virtual manipulatives that I use with my students. All in all a very impressive showcase of what he does, showing both breadth and depth in his material. I am a big fan of his site and I recommend others have a look at it too. My last workshop was given by Matt Dunbar (@MathsDunbar). 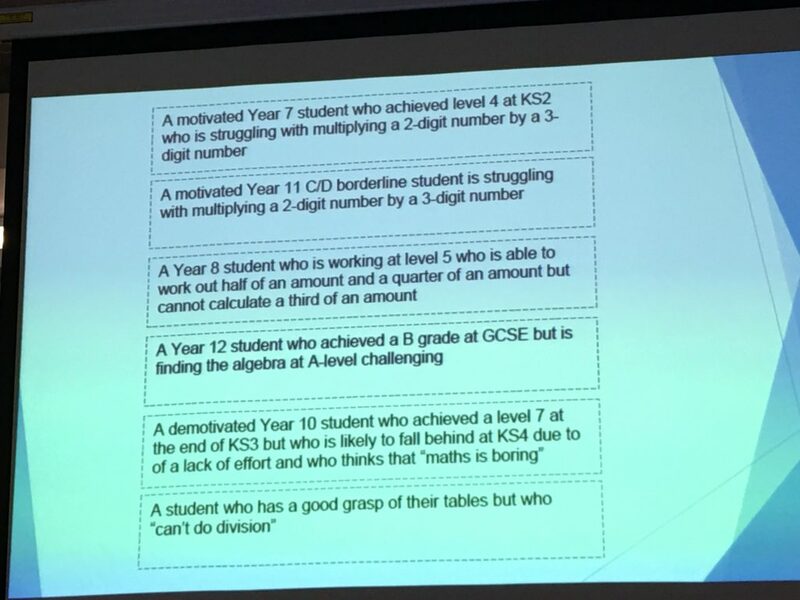 This involved us actually doing some maths as we were all given an A4 sheet with blank spaces as part of interactive problem solving questions from an interactive spreadsheet. There was linear algebra in more gneral form, probability using cuisenaire rods, a vector grid and finally an impressive exercise using a circle in 36 parts. Matt Dunbar had a custom made interactive spreadsheet where inputs can be changed to see the output and the other way round. There’s even circle geometry possible on there. We all got a copy of his spreadsheets and I look forward to trialling them out and having a play. Even as the last talk of the day it sure kept us engaged, and on our toes! In addition to the workshops there were plenty of stands by suppliers for books. I was most interested in some of the online book platforms so I will possibly sign up to even more online ebooks. I was also glad to meet Corbett who has produced some superb resources for GCSE maths. That was definitely a fan moment for me. One of many fan moments that day. 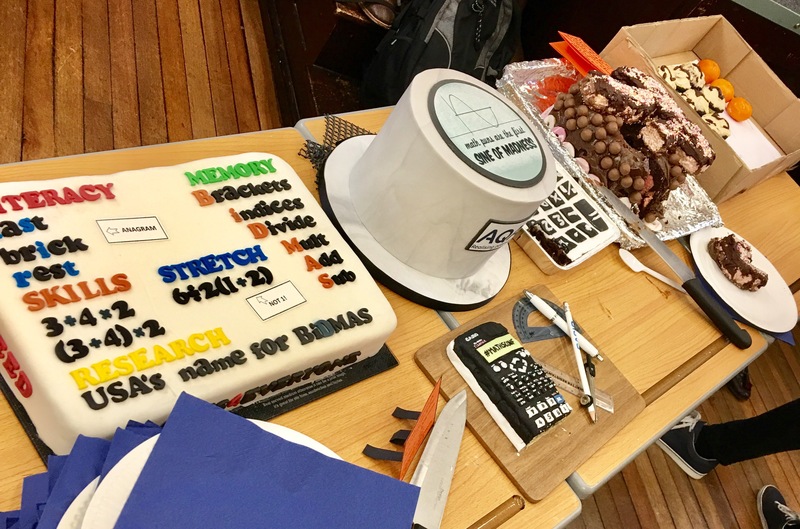 Maths cake competition. The Classwiz calculator cake won. New things I learn get passed on globally as a third of my students are currently in many countries, typically going to British schools in Asia, the middle East and mainland Europe. What I learn from La Salle gets beamed across the world and to my students. I am learning ever new ways of teaching things and being more aware of the methods gives me increased confidence in teaching new things. The maths teaching community is ever so supportive and diverse. Despite 7 days a week of maths during these last two weeks, I find the conference refreshing and a blast of inspiration. The next conference #mathsconf14 is all the way in March which seems like an eternity from now. I could certainly do with the time to start implementing more of the things I have taken away from the two conferences this year. So I wait eagerly for March 2018 and the next La Salle conference. This entry was posted in Uncategorized on October 2, 2017 by Atul Rana.